There are a lot of Point of Sale Systems for accepting card payments in a variety of ways these days, and growing constantly. From PC to Tablet, your chances of finding a POS system that fits your needs, and your budget are much more likely. Whether it’s a restaurant, retail, e-commerce or mobile, most likely there is a system for your specific needs, and products. Not all Point of Sale systems measure up to what they claim, and that’s where WPP comes in. We help you find the POS system with the features, and functions you’re looking for, while helping you keep your cost down. With the constant increase in fraudulent payments, you also want a POS system that protects your business, and your profits. Unlike most Merchant Service Providers, we don’t push 1 or 2 POS systems we favor on you, we research your requirements and find a POS system that fits your business. 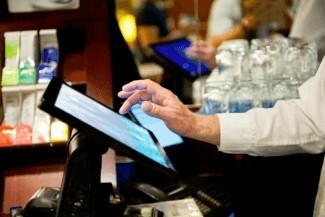 We do our due diligence in how well the POS functions, as well as ease of use, prior to making a recommendation. If you’re currently considering a certain brand POS system, let us know. We’ll find the details for you, and find the answers to any particular questions you have.